Print isn’t dead; it has evolved. What was once the premier mode of reaching consumers now carries somewhat of a novelty factor. Timely, relevant, and content-rich print materials appeal to consumers differently than a YouTube clip or Tweet. This article is going to break down the top 10 ways to mix print & digital marketing strategies to help you dominate your market! But, before we dive into mix-and-match strategies, let’s examine some compelling print marketing statistics. The question isn’t which medium is better, but how businesses can use each as launchpads to the other. Custom print marketing solutions and digital marketing enhancements open up powerful new ways to connect with consumers. 2.5 billion physical coupons were redeemed by customers in 2015. More than 10.6 million print catalogs were mailed in 2015. Despite a decline in direct mail volume, spend has increased nearly 2 percent each year since 2005. Rather than thinking of digital & printed solutions as contrasting elements, think of them as steak and potatoes – compliments that make a hearty marketing campaign. We call this Cross-Media Marketing. So, what is the best strategy to mix print & digital marketing? Use QR codes and personalized URLs. QR codes and personalized URLs are easy to implement and track and great for consumers on the go. Each scan and click through can be tracked and provide valuable insight on how, when, and where consumers are connecting with your brand. 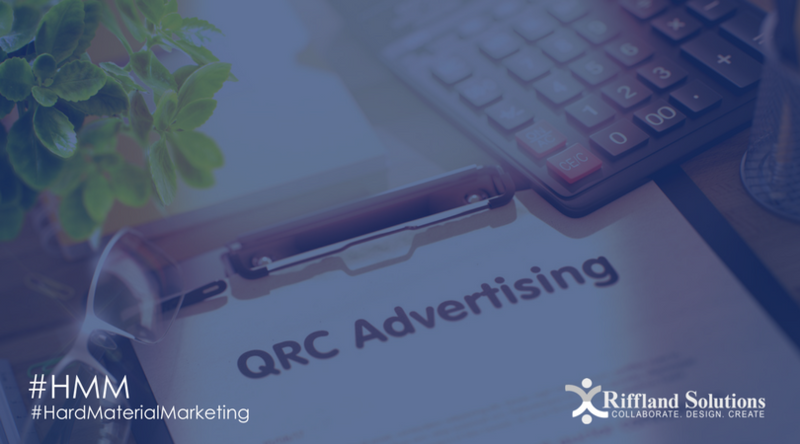 You can place QRC advertising on everything from catalogs to window displays to t-shirts and more. Use digital opt-ins in printed materials. If websites, apps, and social media offer convenience, then catalogs, magazines, and brochures offer an increased sensory experience. From taking in the vivid images to feeling the texture and weight of each page, print materials engage readers in ways that digital can’t. Through direct mail, you can give readers the option to opt-in to emails, and then include digital opt-ins to other marketing materials. Promote your brand with physical goods. Print marketing applies to more than paper. You can print your brand name, URL, and social media links on a variety of low-cost everyday items such as shirts, wristbands, water bottles, bags, pens, and more. You can offer these items as freebies, contest rewards, subscription incentives, etc. Once your products are out there, they can continue to advertise your brand. Personalize your print materials. Variable printing lets you create custom print marketing solutions from graphics and images to precision embossing and engraving. With data on your audience in hand, you can send personalized letters, greeting cards, and other direct mail goodies. Combined with social media, variable printing can help you raise top-of-mind awareness and engagement with your audience. Use social media. From Facebook to Twitter to YouTube, social media still leads the digital march. By posting relevant content and interacting with readers/viewers, businesses can build a tremendous following and even center entire marketing campaigns around these platforms. Among the major benefits is the ability to drive interest to your print marketing efforts (which in turn can drive traffic to digital). Bring print to life with augmented reality. Augmented reality apps lets your audience digitally scan and interact with your business card, store display, catalog, pen, or other physical item. They can watch videos, tap on buttons, read descriptions, navigate to landing pages, and more. It’s essentially an interactive tour of your brand. Get consumer feedback. Whether sales are blossoming or floundering, you want to pinpoint the cause. For marketing campaigns that use both print and digital mediums, identifying what prompted a consumer to click your link, subscribe to your newsletter, or make that purchase can be vexing. Savvy marketers understand that the best way to unravel consumer behavior is to ask consumers directly. You can get feedback via in-app surveys, email questionnaires with deal incentives, contests, or other rewards. Social media in particular is a great way to get consumers’ honest opinions on how you’re doing. Increase cross-platform knowledge and collaboration throughout your organization. By sharing knowledge and information, print and digital marketing teams can better gauge marketing performance and consumer behavior and devise creative strategies to boost sales. Tighter coordination also helps ensure consistency between print and digital efforts. Use powerful calls to action (CTAs) to drive traffic. A powerful CTA can drive your message home and might just be the push consumers need to visit your page, activate a special offer, or visit your business in person. You can include CTAs in both print and digital materials. Examples include social media icons on brochures or flyers, exclusive promo codes in mailed letters, time-sensitive coupons in emails, etc. CTAs can not only boost traffic, but provide you with insights into consumer behavior and the effectiveness of your cross-medium efforts. 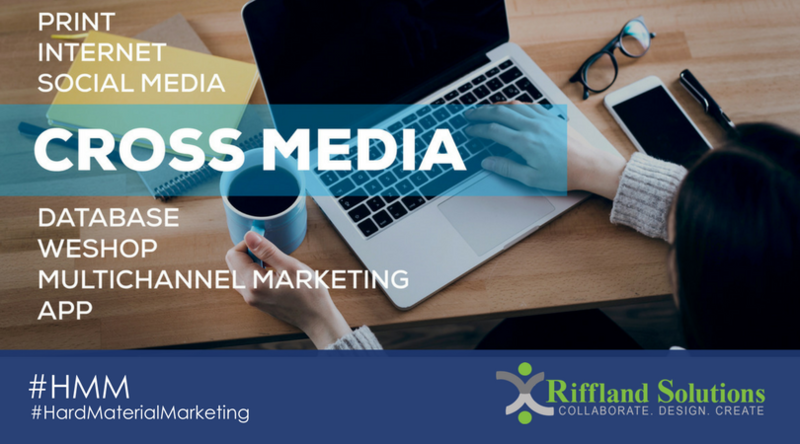 When you’re ready to start challenging yourself to mix digital & print marketing strategies you will want to explore using an experienced marketing consultant who can help you pull it all together for you; seamlessly. 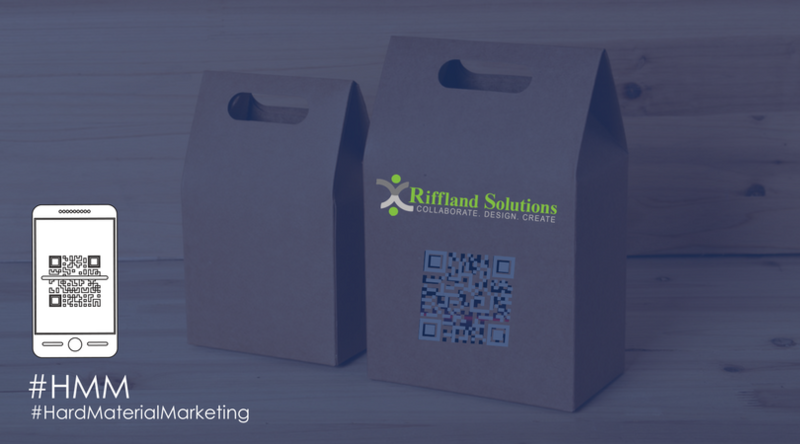 The expert Minneapolis print design consultants at Riffland Solutions can help you create custom print marketing solutions and pull in digital marketing enhancements through their preferred partners to help you reach your ideal customers in the Twin Cities and beyond like never before. Hit a home run with your next marketing campaign. Call Riffland Solutions today for more information.